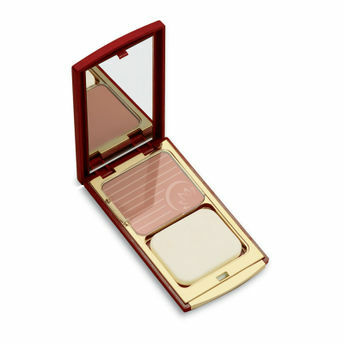 For all those women looking for the perfect cosmetic to add that unique glow to their face, this Naturalblend Botanical Compact will be their apt choice. The formulation of licorice extract, rice powder and green tea extract in this Lotus Herbals Naturalblend Botanical Compact will keep your skin healthy. Licorice extract will condition your skin and improve the elasticity of your skin. Rice powder will improve your skin tone and green tea extract is a great antioxidant that will protect your skin from pollution. Unique Oil Free, super blending & Oil Absorbing Formula that gives Matt finish & covers imperfection for hours. Does not clog pores, keeps skin fresh whole day. Minimizes the look of fine lines & wrinkles. SPF-25 which protects from UV rays. Explore the entire range of Compact available on Nykaa. Shop more Lotus Herbals products here.You can browse through the complete world of Lotus Herbals Compact .Alternatively, you can also find many more products from the Lotus Make-Up Natural Blend Botanical Compact SPF 25 range.